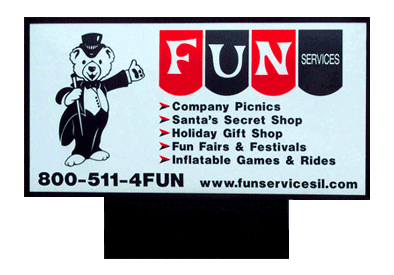 Fun Services has been serving customers in the Chicagoland area, including Northern Illinois and Southern Wisconsin, for more than 50 years. We are locally owned and operated and have an office in the Village of Addison, IL. We are a nationally recognized company made up of local distributors across the country. As your local distributor, we take great pride and interest in your organization because we are a part of the community. Fun Services is the originator and proud supplier to local schools of the in-school gift shop program, known as Santa’s Secret Shop and/or Holiday Gift Shop. This program is widely recognized as the leading standard to other similar programs. We have also been a supplier to local schools for their Fun Fairs, Carnivals, and Field Days. We offer a variety of games and inflatable attractions to customize even the largest events. We also have concession machines to satisfy your cravings, as well as fundraising and photo booths. We service the local business community, any event from the large corporate picnic to the small family business function. 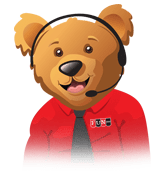 We strive to achieve the common purpose of serving the fundraising and event coordination needs of the community in a professional and personable matter. Your success is our success!